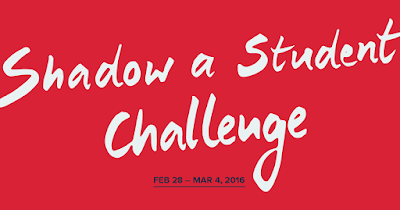 On Monday, February 29, I will be taking part in the “Shadowing a Student Challenge.” I will be joining school leaders from 23 countries and all 50 states. Right now there are over 1,117 school leaders taking part during the week of February 29 - March 4. My schedule has been cleared, selected a student and will spend the day as a member of the Waldwick High School student body. I will be reflecting on the day and plan on sharing my experience. The goal for the day is to see what our school looks like through the eyes of student. At the end of the day my homework will be to identify what's going well, what could be better and what questions or ideas are sparked by this experience. I am looking forward to being a student again (I think). 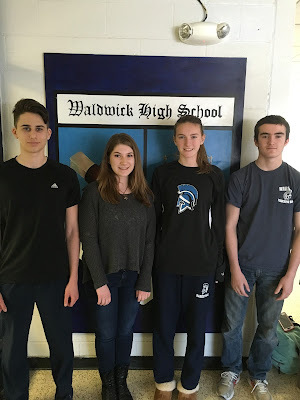 Waldwick High School is excited to announce we are changing our math sequence starting with the Class of 2020 (Current 8th Graders). Starting this September, all incoming freshman will be taking Geometry and the new college prep sequence will be Geometry, Algebra 1, Algebra 2 and Pre-Calculus. This change does not affect the honors sequence. 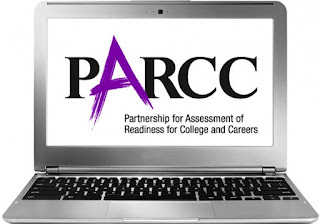 We are entering the second year of PARCC testing and starting in April, students in grades 9, 10 and 11 in ELA (English Language Arts) and Math (Algebra 1, Geometry and Algebra 2) will participate in the updated version of the PARCC (Partnership For Assessment of Readiness for College and Careers) tests. One big change from last year is that students will only be taking the test once during the school year. Just like last year, the assessments are computer-based and aligned to our curriculum. The PARCC testing is designed to help the teachers and staff understand how well we are preparing our students toward the goals of the CCSS as well as offering a snapshot of individual student growth at each grade level. This information along with the internal assessments that are used, helps teachers to support the learning of each child. In addition, we use the information gained from PARCC to help adjust our total program to ensure the overall student growth at every grade level. In order to help reinforce safe online behaviors, we will be showing the film, "Sticks and Stones" on Thursday,February 25, 2016, to all 9th Graders (1:30pm start). This film addresses many of these issues in a hard-hitting but realistic way. The film was co-produced by the Bergen County Prosecutor’s Office and Chase Wilson, the Emmy-nominated creators of the DWI prevention film, "Stoned Cold." ALLISON JOHNSON - Allison, a senior, does outstanding work in her Personal Finance and Software Applications classes. She works very well individually or in groups to complete activities and projects. She goes “above and beyond” to get things done. One example is Allison’s work in formatting and organizing a recently completed Course of Studies booklet. In addition, Allison is very creative in design work and problem solving. Allison maintains an “A” average in her Personal Finance and Software classes. Good job!! !